Stephen Facciola has recently received another generous grant from the David Karp Philanthropic Foundation, administered through NCIS, which will enable Stephen to continue his research into edible plants. 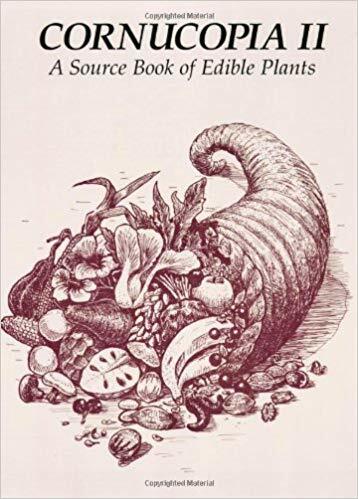 As he tells us: "I'm currently working on a multi-volume book on edible plants of the world which is derived in part from my previous publication 'Cornucopia: A Source Book of Edible Plants', completed in two editions. This new compendium will further the unique qualities of those works, which combine botany, horticulture and gastronomy in unique ways, using an expanded format with approximately five headings. It will enumerate most of the world’s edible plants with selected algae, fungi and bacteria and will be extensively illustrated. Crop wild relatives will now be included as well as new usage categories such as meat substitutes, caviar substitutes, garlic substitutes and agar gums". Stephen's previous book can be found at https://www.amazon.fr/Cornucopia-II-Source-Edible-Plants/dp/0962808725. We look forward to previewing the current opus!